Even though I have never attended a Microsoft Build conference in person I always learn so much from them. Every year there are new platforms to try, lots of documentation to read, and many presentations and recoded sessions to watch. I still have a lot of videos to watch, but here are some of top announcements from Build 2016 which matter to me the most as a developer. A number of new features coming to Windows 10 in the “Anniversary” update were shown in the day-one keynote, and then even more features where shown at sessions throughout the conference. Solid improvements to the inking, biometrics, and the Action Center were all well received. Many of the features shown help fix minor annoyances in the system. For example, pressing on a live tile showing a preview of a news article can now take you directly to it, and notifications dismissed on the PC or tablet will automatically get dismissed on the phone too. One of the most exciting new features was the addition of Bash (on Ubuntu) on Windows which is both technically very interesting and extremely useful for many development workflows. 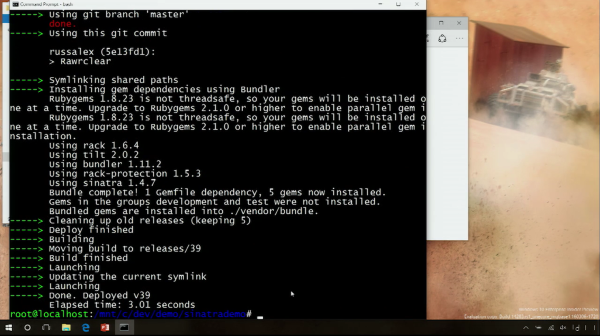 The new Ubuntu subsystem will allow any (command-line) Linux application to run natively on Windows. This instantly unlocks a massive amount of tools and utilities for developers, making common scenarios significantly easier from Windows. As a huge fan of command line interfaces I’m going to go into this in more detail in a future article – but essentially Microsoft are positioning Windows to be the ultimate developer platform, no matter what operating systems you use for your solutions. 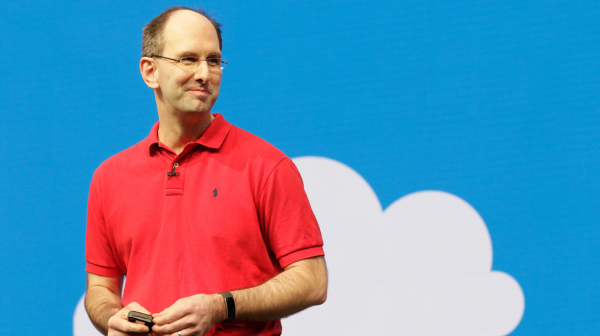 Microsoft would prefer you use Azure when you deploy your applications though, and the day-two keynote showed that is still serious about the cloud. Improvements which interested me the most included Azure Functions, Service Fabric, Containers, DocumentDB, and much, much more. 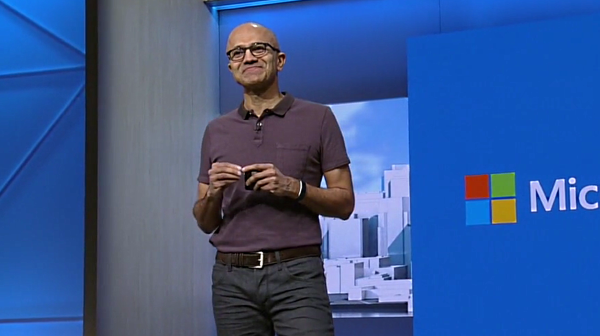 Azure is the future of Microsoft, and by the numbers they going strong. They’re expanding their datacentres and really betting big on the cloud. 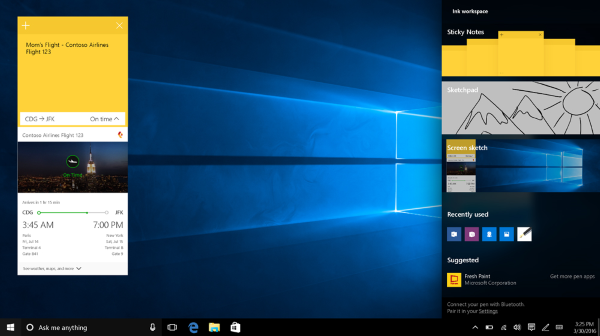 This is no surprise to Microsoft watchers, but it’s good to see steady improvements here. Many of which I will use. I spend absolutely huge amounts of time in Visual Studio so any improvements here have a very positive effect on my productivity. 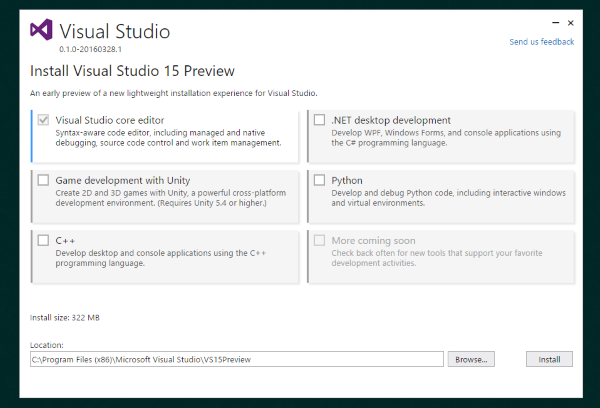 Visual Studio 2015 Update 2 was released (with lots of improvements) and an early preview version of Visual Studio vNext was also shown. I’ve tried both and they’re definitely going in the right direction for me. I’m especially looking forward to some of the improvements coming in the Visual Studio installation experience moving forward. This should make setting up new development environments much faster, and the side-by-side installations means there’s much less risk when installing previews. 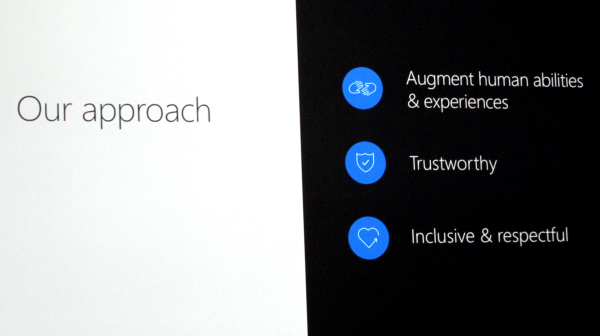 The mobile app development story from Microsoft is stronger than it ever has been. This year brings a number of improvements to the Universal Windows Platform (UWP) itself, and a more integrated store experience which now includes the apps on the Xbox One and HoloLens. The Desktop App Converter lets you wrap up existing Win32 and .NET apps into UWP packages, allowing access to new features like UWP APIs – including Live Tiles. Even though I don’t currently develop any Win32 or .NET applications that I want to put in the store, this is an important step and I’m looking forward to the benefits of this as an app user. 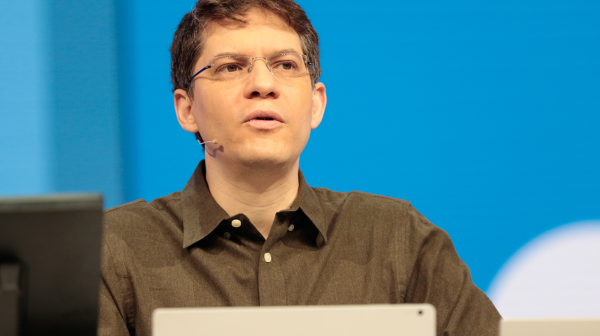 For targeting non-Windows devices, the Xamarin platform is now the obvious choice. After recently purchasing Xamarin (and their amazing talent) they’ve decided to make Xamarin available for no extra charge with Visual Studio. And that includes shipping it with the free Community version. Very cool. The combination of UWP and Xamarin means I can directly apply my C# and .NET skills to making applications for a wide range of platforms, sharing many code components. It’s really coming together nicely. As well as making Xamarin’s development tools free to Visual Studio users, the folks over at Microsoft also announced their intention to open source the Xamarin SDK (including the runtime, the libraries, and command line tools), and give the governance of it over to the .NET Foundation. Created new F# project in /home/julian/hellofs. $ # I can now dotnet restore and run this F# app using .NET Core! So far everything I have mentioned has been mostly around solid updates to existing platforms, but this year’s Build included a slightly different way of thinking about productivity with the idea of Conversation as a Platform. 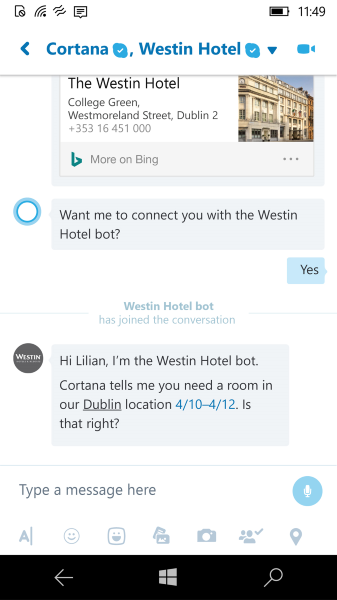 The demonstration of talking to Cortana through Skype was very interesting – where essentially Cortana can act as a broker between the user and other bots on the Internet which can act as experts in their field. I found this very compelling, and something I can see myself using. As this is as subject that interests me greatly, I’ll be writing more about this over the next week or so. Of course, there’s no way I could summarise everything I looked at so I have skipped a number of cool announcements ranging from Microsoft Graph to HoloLens. The hard-working folk over at Channel 9 have videos for many of the events and topics, so be sure to check them out if you’re interested. I’m very thankful that these videos are all made available for everyone to watch, I really enjoy watching them.